That’s right, we got Whisky Waffle shirts! “If you love whisky, it’s the place to be”, said Colin, whisky enthusiast and fellow drunkard. It was 4pm. We’d been imbibing the amber nectar for three hours. To be honest, conversations about the merits of whisky were not exactly hard to come by at this end of the afternoon. We, the Whisky Waffle boys, knew that we had come to the right place. And where was that you may ask? 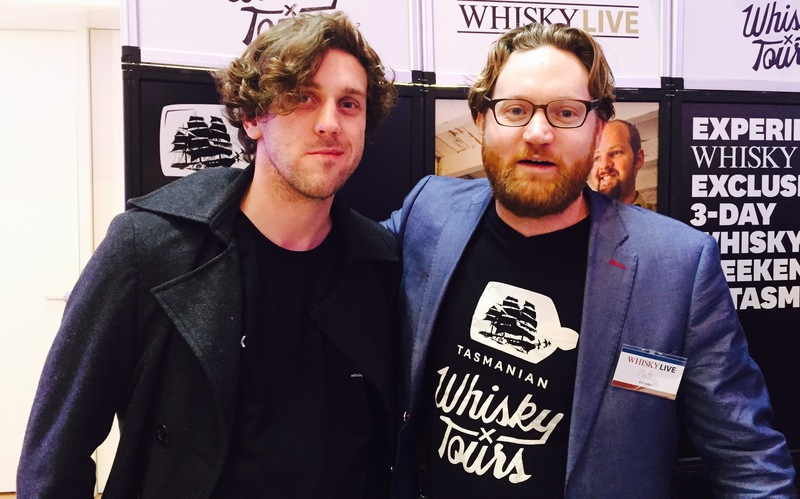 It could only be Whisky Live 2015, Melbourne edition. 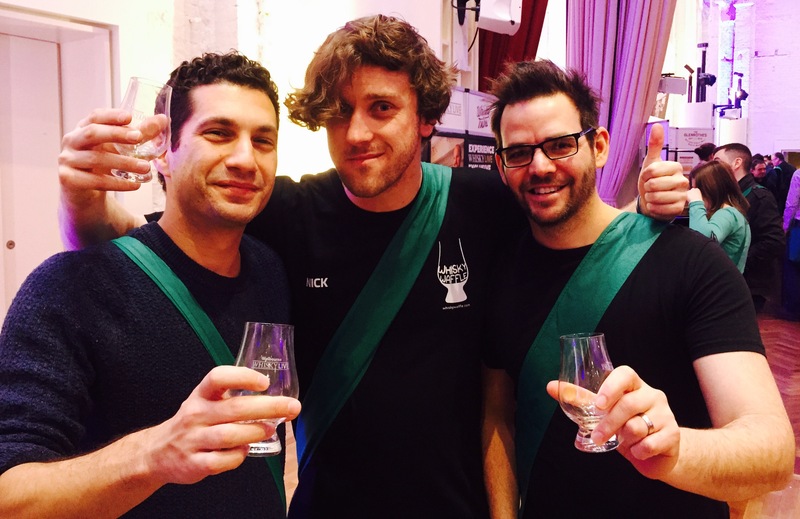 As semi-amateur whisky journalists (just go with it, ok!) 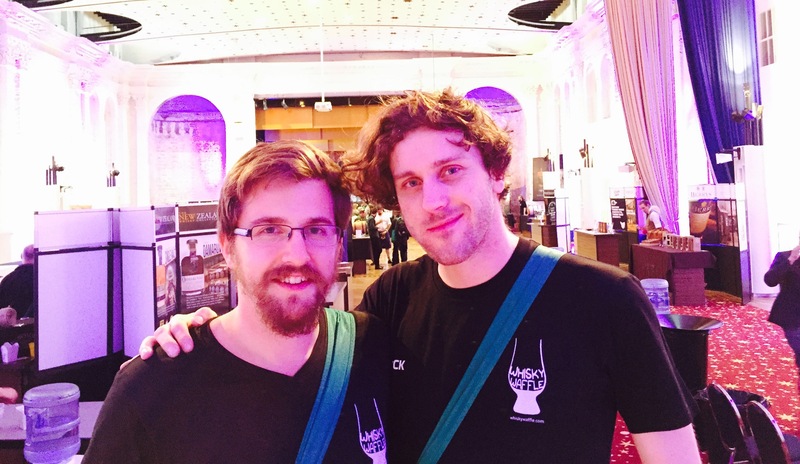 we were keen to make it to Australia’s premier whisky event, despite Jetstar’s best efforts to delay us. Oh, and Public Transport Victoria didn’t help us much, either. As a consequence, it was remarkable that we wandered into the St Kilda Town Hall a mere 10 minutes late. We were greeted with green shoulder bags, complimentary Glencairns and more whiskies than you could poke a valinch at (it’s a whisky thing, look it up). Our first port of call was to familiar faces: we kicked off our whisky journey sampling some new make spirit with Dean Jackson (and soon-to-be-solo distiller Robbie) from Redlands Estate and sampled some glorious Lark Classic Cask with Tas Whisky Tours’ Brett Steel. Good to hang out with the boys from back home. We then hopped across the pond to visit Greg Petry, whose strong North American accent clearly revealed that his product was made by the NZ Whisky Company. Go figure. Incredibly, his youngest single malt was a mere 23 years old. After lamenting that we could not combine the initial flavour of the Doublewood with the finish of the 27 year old, we jetted off once more, this time landing in Japan. Here we learned how to pronounce Hakushu (Huck-shoo), and impressed a man in comedic Japanese sushi bar attire that we actually were interested in trying the Suntory Kakubin neat rather than in its traditional highball form (soda water, lemon, ice). Using the stars, we returned to the New World to discover… cocktails? That’s right, the Lads from Starward were making Old Fashioneds, although it was their single malt we had come to try. Despite their wine cask being aimed at ‘real’ whisky drinkers, we both agreed that we still preferred the apera cask. Shows what we know (we’re semi-amateurs remember!). We then had a ‘Rich’ conversation with our friend from William Grant and Sons about the Balvenie. Ted was pleased about knocking back some 21 Year Old Port Wood without lowering the level of his own bottle! Fred, Independent Beverage Consultant at large, talked us through the range of Glenfiddichs and produced, to gasps of awe, a bottle of 26 Year Old from behind the bar. Yes please, we said. Our new friends Adam and Adam spied the gold lettering from the other side of the room and were more than happy to join us for a nip! Never being ones to turn down a free feed, we relined our stomachs to see us through the rest of the afternoon. Our next destination: India, and the distillery of Paul John. We mentioned our India-based whisky writing colleague, the Whisky Lady, to master distiller Michael John D’Souza – India’s a tiny country, not many people – they’re bound to know her, right? (Yeah right). “You mean Carissa?” he replied. The whisky world is a small place indeed. The newest converts to the Paul John phenomenon. The whisky itself was a revelation. In fact, it was brilliant! Particularly the aptly named Brilliance, which tasted like nothing else that day. The peated varieties also tickled our fancy, which unfortunately could not be said of the Dry Fly wheat whisky, makers of the infamous Washington Wheat. Admittedly we spent as much time waffling as tasting at this end of the afternoon, the lubricant effect of the whisky loosening our tongues somewhat. The moment of truth arrived. It was time to try the Glenlivet Founders Reserve, the replacement for our beloved Glenlivet 12 Year Old. And it tasted… well… decent. Maybe there’s hope yet. The rest of the range impressed us, too, in particular the Naddura Oloroso (plus: “they have dried banana here!” enthused Ted). We moved down the line to the mysterious Finlaggen, the dependable Bowmore and the classy Auchentoshan (where Nick drunkenly confessed his undying love for the distillery… repeatedly: “when I went there…” “…my FAVOURITE 12 year old…” “…did I mention I’ve been there?” etc etc). 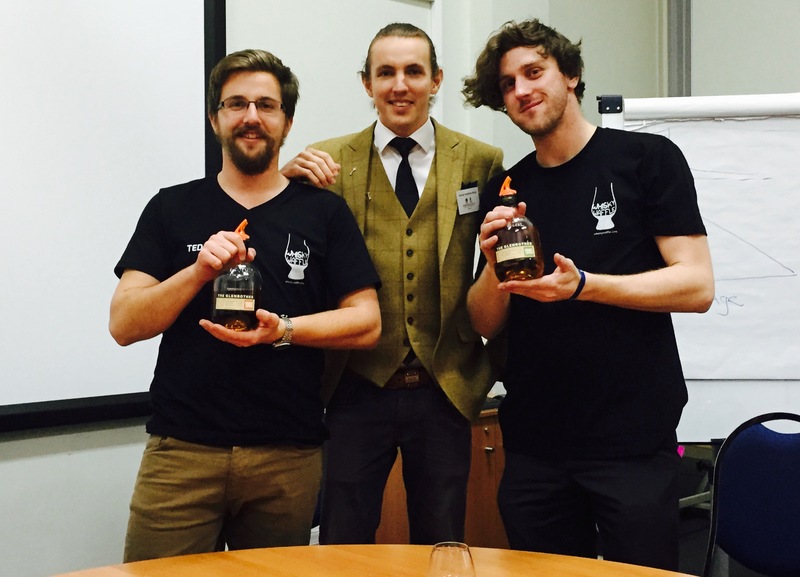 Ted then whisked him away to attend a master class with master tweed wearer Dan Hutchins-Read to talk about the merits of a whisky that has definitely impressed us recently: the Glenrothes. As there were only four attendees to the session, we had ample time to wax lyrical and Ted may have fallen into the same trap as Nick (“I’ve written a lot of nice things about Glenrothes…” “…I love how you’re all about the vintages…” “…did I mention I’ve written a lot of nice things about you?” etc etc). Fashionable as our WW shirts were, we couldn’t match Dan for style! After Nick had calmed Ted down, we staggered off on a mission to find the dram we’d been waiting all day for: the Laphroaig 15 Year Old. 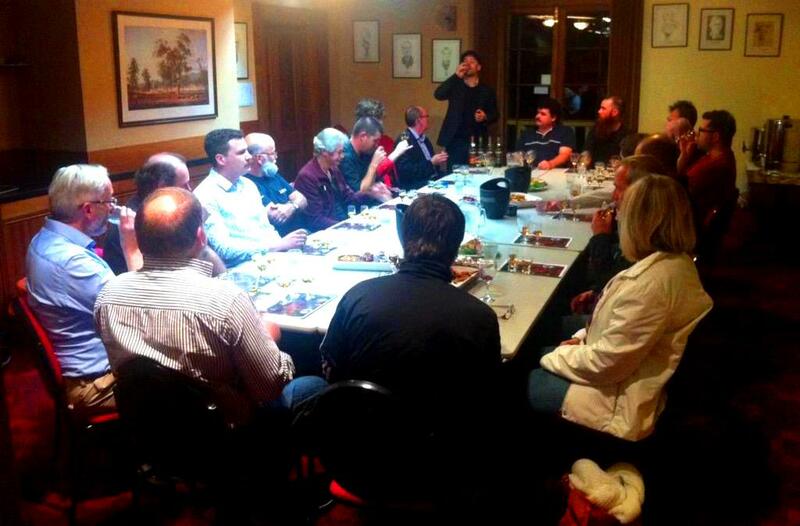 To our dismay, we were informed by Australia’s number one whisky fanatic, Dan Woolley, that they had long since run dry. But after seeing our sad little faces, he took pity and muttered that if we were to come back straight after the session finished he might be able to find a little something for us. We consoled ourselves by pairing a glass of Laphroaig 10 year Old with some oysters and a meeting with legendary bourbon distiller and maker of Russell’s Reserve: Eddie Russell. We may have been a little enthusiastic at this end of the day, but Eddie was a true southern gent and took us in his stride. 4.30 ticked over. The bottles began to vanish from the stalls. 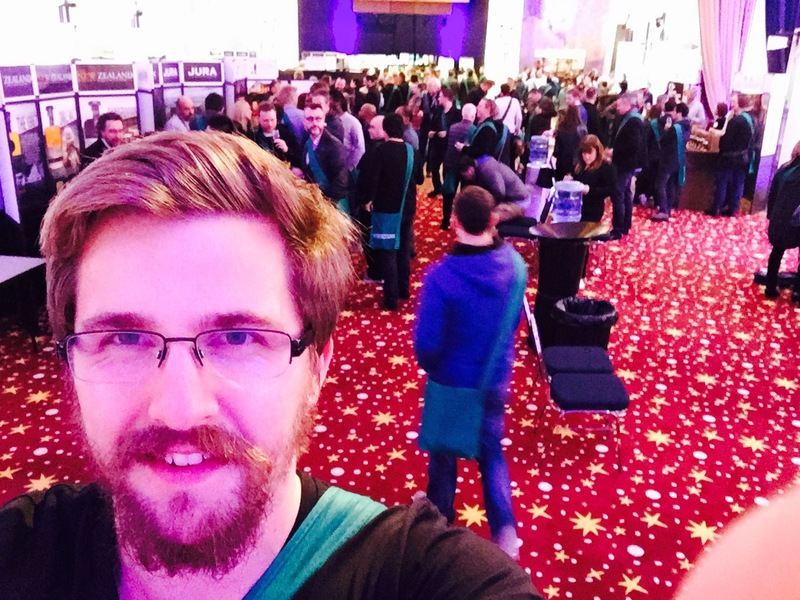 We wandered around dodging the polite requests of the security guards to leave. We had a mission to complete: and boy was the 15 Year Old worth it. 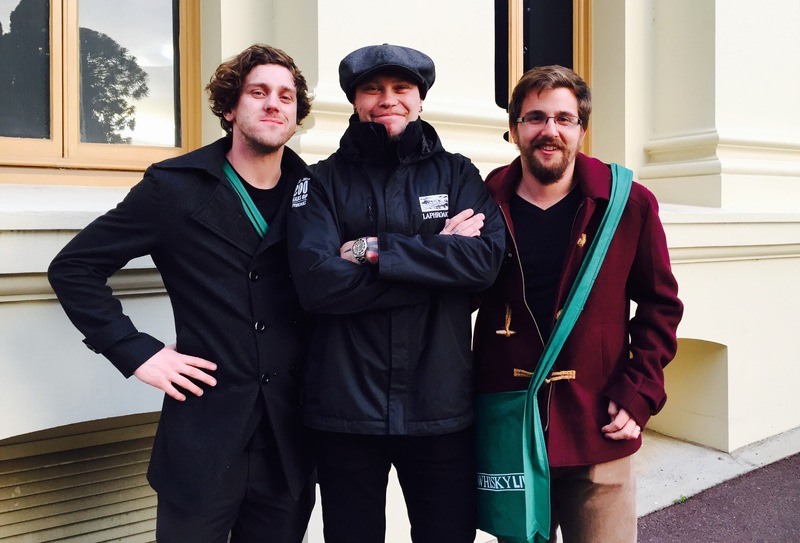 As we stumbled out of the St Kilda Town Hall amongst hordes of whisky fanatics, en route to the closest pub, we mused about our day. 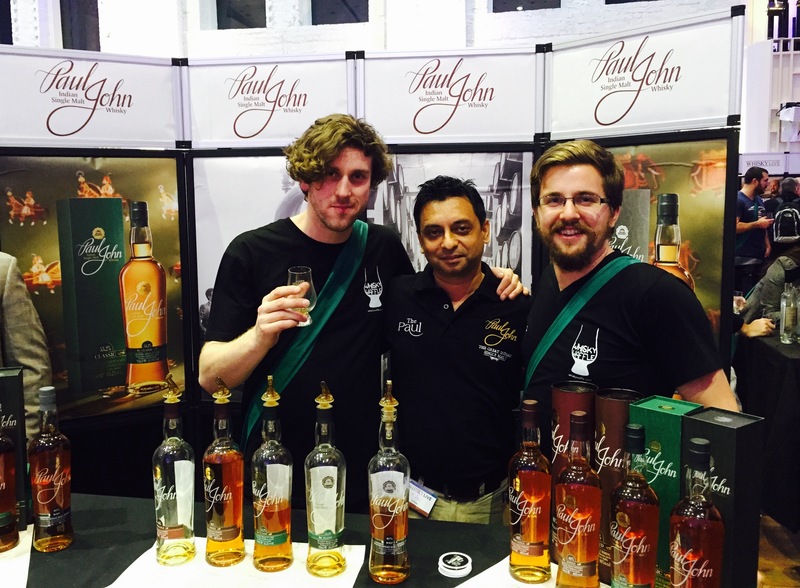 We had come to Whisky Live expecting to find many great whiskies and we had not been disappointed (46 times over, in fact!). But to be honest, the real joy of the day was to celebrate whisky with a bunch of fellow wafflers. That in itself was worth the price of admission. The Caribbean. What does it make you think of? Beaches? Palm trees? Sunshine? Johnny Depp movies? 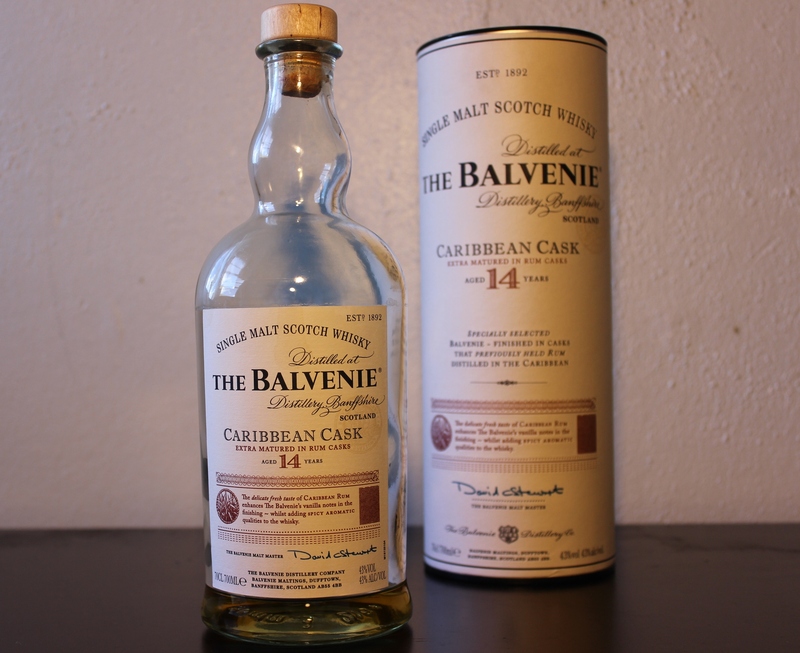 The flavour of the Balvenie 14 Year Old Caribbean Cask certainly shows the power of suggestion because I can’t help but noticing this whisky tastes rather… tropical! Balvenie are one of the leaders in Scotland for maturing their spirit in multiple barrels, often, as is the case with the Caribbean cask, for only the final few months of the aging process. This imparts another layer of flavour on the whisky without removing characteristics that are already present. Often this ‘finishing’ process is conducted in sherry or even port casks. In the case of this Balvenie however, it spends its final few months of aging in ex-West Indian rum barrels, hence the moniker: Caribbean Cask. The rum influence certainly adds a new dimension to the whisky. The overriding flavour in the nose is, would you believe it, bananas; and I’m not just saying this because of the Caribbean image in my head. Honestly! There are also the vanilla and honey notes expected of a Speyside whisky, however these couple with fresh floral scents. It’s sweet and light, but pleasingly complex. On the palate the mouth feel is thick and syrupy with malty, biscuity notes present. However, these rapidly give way to fruits such as pineapple, passionfruit, mango and yet more banana. Tropical fruits! The finish is gentle and sweet, with more traditional honeycomb and toffee. Whether or not I would have picked out these tasting notes if this whisky had been given a less suggestive name is an interesting point. However, as far as this dram is concerned, the marketing and the flavour go hand in hand. The image that ‘Caribbean Cask’ conjures in my head is now inseparable from the whisky itself and I can only describe it in one way: this is the tropical punch of whisky! Double the wood, double the fun! Just getting into whisky? Think you might like to give one of those new-fangled single malts a try? Can’t afford the Glenfiddich 50yo? Roll up and try the multi-barrelled, malty-talented whisky wizard, the one, the only: the Balvenie 12 Year Old DoubleWood! It’ll cure all your woes*! * Side effects may include becoming compulsive about seeking out single malts, and mild discomfort in the presence of blends. Balvenie is a member of the the William Grant & Sons stable, and is the less famous sister to Glenfiddich. Balvenie prides itself on continuing to use traditional hand malting methods, and is well respected for its high quality range of whiskies. Chief amongst these is the 12yo DoubleWood, a dram that has converted many a whisky novice. There is a good reason for the DoubleWood moniker: while it spends the majority of its life in American oak, for the last few months of maturation the spirit is transferred to sherry butts. This technique imparts the range of flavour that makes this whisky special and means that there is something in it for everyone. This variety of flavour is immediately evident on the nose with sweeter notes of caramel, fruit leather and vanilla pairing with a citrusy tang reminiscent of lemon drops, and aromatic spices such as nutmeg and cinnamon. The flavour is very broad and rounded across the palate. There is an initial hit of oranges, followed by spicy ginger and buttery shortbread. The sherry influence is definitely present in the finish. Dried fruits such as figs, prunes and dates can be found, and a tasty flourish of old English toffee is left on the tongue at the end. 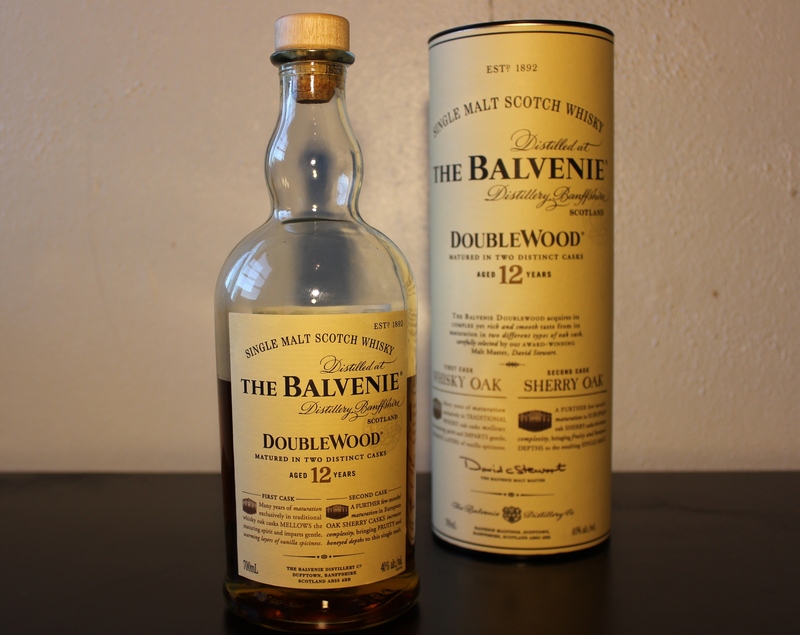 The Balvenie 12 Year Old DoubleWood is exceptionally smooth for its age, and is also excellent value for this level of quality. For experienced whisky drinkers there is so much to like here and it warrants repeated tastings (for research purposes, naturally). For those just beginning their journey, the DoubleWood provides an ideal gateway to the broader whisky world. So line up ladies and gents, there’s enough for everybody. You won’t be disappointed!